So that was the end of this particular journey. The next time you come to Africa Night Tilburg, she will be celebrating her 19th birthday! Yes who would have thought that was possible in 1998? But hey, we will come back to that subject in May. Now to matters at hand, which is what we thought of the April 2017 edition. Did anyone who was there notice we went on till about 03.30 hours? Not that you noticed at the time. Because you were all dancing like there was no tomorrow. And when we had to stop, some of you playfully protested. It tells us a lot about a night that started really quietly but slowly built up to a musical crescendo on the dance floor. And what about all the new faces coming to replace the ones that were there last time and couldn’t come this time. The faces that are always laughing when they come in and the faces that wear an even bigger smile when they go home at the end of the night. 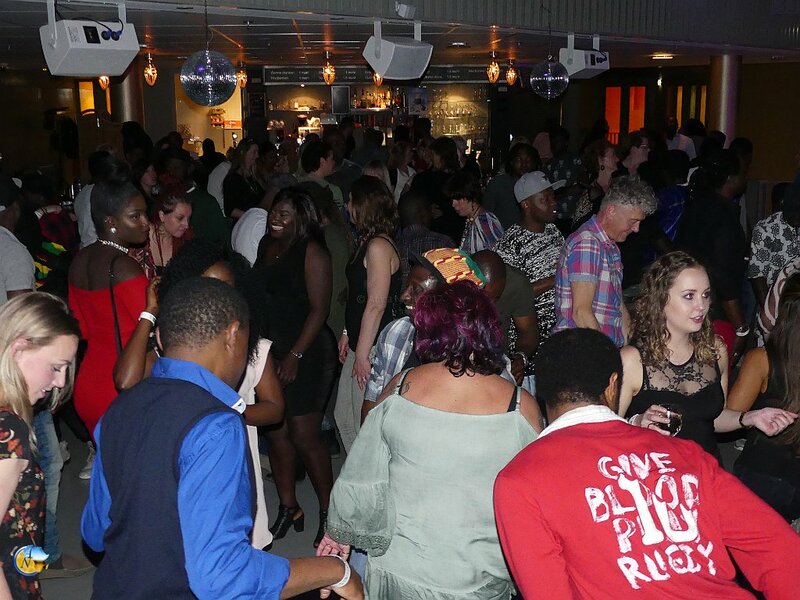 For us as the organisers of Africa Night the single most important aspect of any Africa Night is the contact we have with our guests. It is of course not always possible to talk with everyone, every time, the whole time. But when we approach any of our guests, we do that with respect and sincerity. We are sure they feel that. That is why we feel their respect and sincerity too. It is the bedrock of a lasting relationship. It is why an old friend would come after a long time, on her own from Limburg and feel safe and comfortable coming alone. It is why a new friend would bring 7 other people from Belgium because she says she has an 8-seater car to bring them. We could think of many cities they could have stopped on the way to go and dance. But she chose to bring them to Tilburg. And the guy who came from Haarlem. He called earlier during the day. He was coming for the first time and he wanted to know if it was like some African shows in Amsterdam . He has been disappointed many times because many of the shows get cancelled and the organisers then “forget” to inform their guests about the cancellations. He wanted to be sure he would not take the journey for nothing. To cut a long story short, we really had a great conversation with each other at Africa Night. He came early and left very late! A new friendship is going to blossom. That is the way it goes. We are all Humans of Africa Night. Not just a faceless/nameless number as with many other parties. It is one of the things that make Africa Night unique. It is why we never tire even after all these years. Even on days when we are not on top of our game, the Africa Night guests always find a way of lifting us up! So as we reach the end of being 18 and going on to being 19 next month, we were happy to see people young and younger having fun together as always on the dance floor. 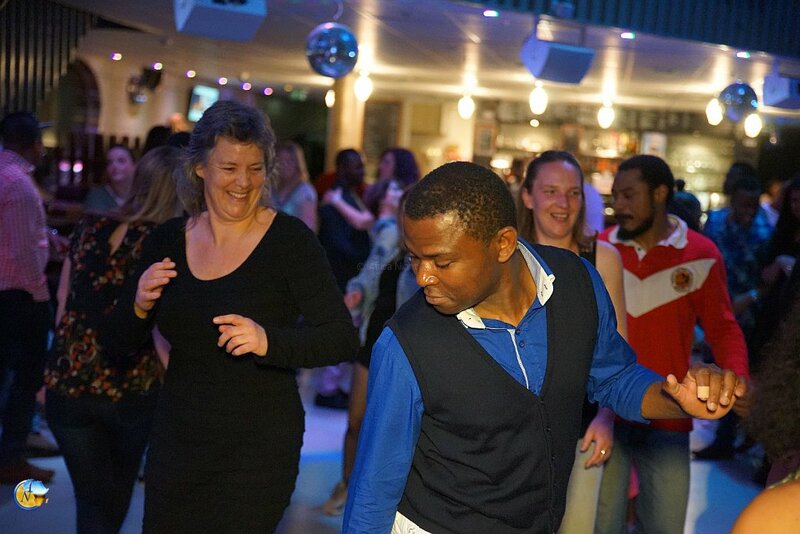 The 2-part 19th Africa Night birthday party in May 2017 will begin during Africa Night Tilburg (20th May). 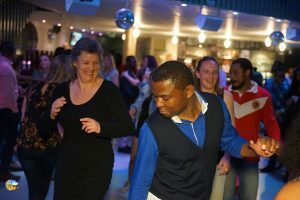 The 2nd and final part will take place during Africa Night Rotterdam on May 27th. It promises to be a special one. So don’t forget to come early and bring your friends and family too! Tagged 19 jaar Africa Night, Africa Night, Africa Night belgium, africa night limburg, africa night rotterdam, africa night tilburg, Humans of Africa Night. « It is a men’s world!